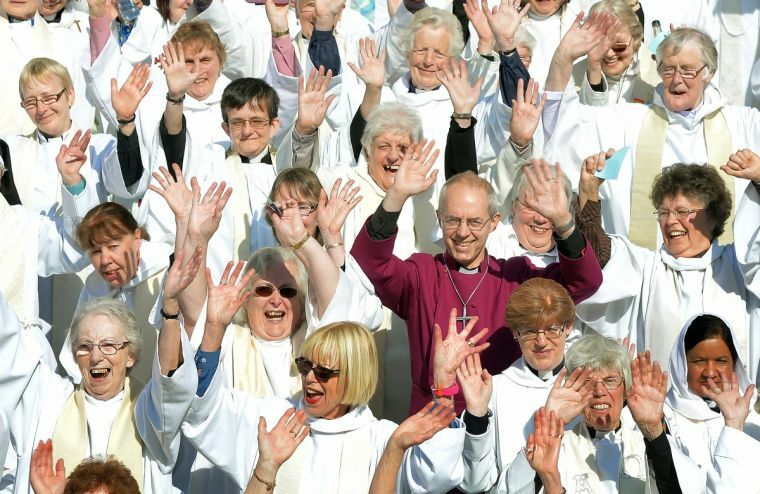 On July 14, the Church of England’s General Synod voted in favor of consecrating women bishops. The legislation passed by overwhelming majorities in all three of the Synod’s Houses, Laity, Clergy and Bishops, reversing last year’s vote against women in the episcopate. As guided by the fourth and fifth principles, parishes will be able to pass a Resolution requesting alternative episcopal oversight and have the right of appeal to an independent reviewer, or ombudsman, in the case of dispute. Archbishop of Canterbury, Justin Welby, enthusiastically endorsed the legislation, saying that he was “delighted” at the outcome of the vote. “This is a watershed moment for the Church of England and a huge step forward in making our society fairer. I would like to congratulate the strong leadership that Archbishop Welby has shown on this issue. “Many in the Church of England are celebrating today, following final approval of the legislation to permit women to be ordained as bishops. "While recognizing this, we deeply regret the further obstacle that this decision places in the path to the full, visible unity of the whole Church. "We do, however, welcome the provision that has been made in the House of Bishops’ Declaration. It recognizes that our theological convictions about ministry and ordination remain within the spectrum of Anglican teaching and tradition. It assures us that bishops will continue to be consecrated within the Church of England who can provide episcopal ministry that accords with those theological convictions. It makes provision for parishes to gain access to that episcopal ministry by passing resolutions. Whether long-lasting provision will be made within the Church of England for those unable to accept the validity of women bishops remains to be seen. If the United States and Canada serve as a precedent, traditionalists within the CofE have little ground for optimism.